More than eight in 10 female business travelers reported safety concerns or incidents in the past year. ALEXANDRIA, VA—More than 8 in 10 (83%) women say they have experienced one or more safety-related concerns or incidents while traveling for business in the past year, according to new research from the Global Business Travel Association (GBTA) in partnership with AIG Travel. Women take precautions in many facets of their life due to safety concerns, and business travel is no different. While traveling for business, over half of women regularly communicate with the office, family or friends (58%), only stay at trusted hotel accommodations (56%) or share their itinerary with family and friends (51%), among other safety measures. This comes as no surprise given 71% of female business travelers believe they face greater risk on the road than their male counterparts. Their top concerns include general safety (78%), sexual harassment and assault (72%), travel to certain countries and cities (68%) and assault or kidnapping risk (65%). 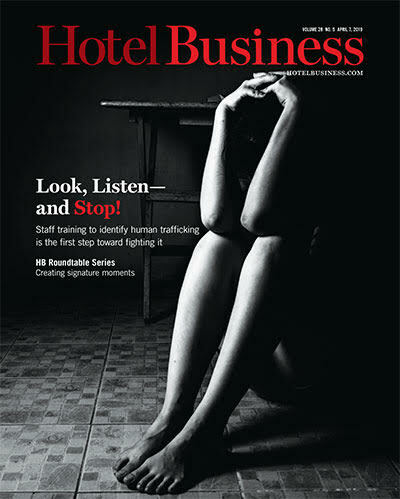 While many women stick to booking a traditional hotel for business travel (70%), shared housing such as Airbnb or HomeAway is a sizeable portion of the market (24%), and female business travelers take special safety precautions when booking both forms of lodging. 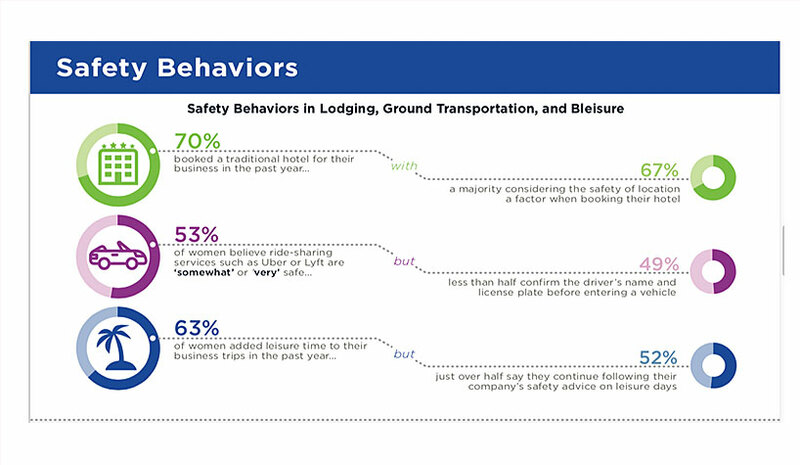 When booking a traditional hotel, women who travel often look to book at trusted hotel chains (74%), consider the safety of the neighborhood (67%) and look for hotels close to their work site (64%). When booking shared housing, over half say they book highly rated properties (57%) or book full house/apartment listings (51%) as security measures. When it comes to ground transportation, 81% of female travelers feel that rental cars are safe, while just over half (53%) feel the same about ride-sharing services. For those that use ride-sharing, 49% confirm the driver’s name and license plate before entering the vehicle. Female travelers are generally confident in their organization’s risk management programs, as 83% believe their organization cares about their safety on business trips, and 87% report they feel comfortable expressing their safety concerns to their travel buyers. However, they feel more can be done for female business travelers. More than two-thirds (68%) of women who travel for work think their company should have policies that specifically address the needs of female business travelers, yet a recent survey of travel buyers revealed only 18% report having these gender-specific policies in place.